Firstly “cure” may mean different things to different people. What is believed to be a cure by one person may not be acceptable to another. Our technologies for measuring what we term cure are also far from foolproof and finally, and most importantly, we still have no idea whether it is possible except in a few unusual circumstances. This article aims to begin an open discussion on this issue to which people are welcome to contribute. Hopefully, as a forum, it will help us all understand the issues better, define the meaning or meanings of the word cure as they apply to people with HIV and as different people’s perspectives are taken on board. In an ideal world it might even take the field forward and help to guide strategy and funding allocation. However, perhaps we should not start out by being too ambitious! Progress against stemming the epidemic of HIV worldwide has been truly remarkable over the last 15-20 years. Beginning originally with a sea change in political and popular thought largely in the USA and driven initially by ferocious campaigning from the gay population, HIV changed from being perceived as a disease of minority disadvantaged populations to something that went to the top of the political agenda and was shown to be of relevance to everyone. Research and pharmaceutical funding followed and as a consequence produced the largest range of new pharmaceuticals in the shortest space of time for any medical condition ever. A disease that was uniformly fatal became one that was controllable, with a normal life span and a normal quality of life. Worldwide, the perspective changed as well. Fifty years ago it was not the norm for wealthy Western countries to pour millions of Dollars, into paying for the treatment of a disease epidemic in less wealthy countries but this, again, has undergone a revolution with institutions like Pepfar, the Global fund etc. Young people being brought up today will perceive it to be the norm for Western society to support those people living in distant parts of the globe and less able to pay for their own treatment than themselves. And it has worked. Despite all of the perceived and real logistical issues of delivery of care, the incidence of new cases in the world is falling almost everywhere and this is reflected in the fact that the international spotlight of global infection is much less attuned to HIV and focuses briefly and brightly on other infections which, although no less deserving of action, have nowhere near the same global impact: - SARS, Ebola, Zika, MERS etc. There are still 35 million or so people HIV infected worldwide with a million deaths each year and two million new infections. The optimism brought on by our success in suppressing much of the ravages of HIV infection has made us dissatisfied with the issue that lifelong treatment is the norm. People with high blood pressure have had to face this prospect for decades but for inherited diseases and some metabolic conditions like diabetes cure is now also the goal. Similarly many cancers have become more easily treated with remission and even cure becoming widely used terms. For some however such as pancreatic cancer the outlook is still distressingly grim. HIV cure should be simple to define. It would mean the complete and utter eradication of all traces of HIV infection from an individual. This has been achieved once, in the ‘Berlin patient’, under circumstances which are logistically impossible to roll out to more than a few individuals. So the aim these days is to eradicate the reservoir of HIV from which recrudescence occurs whenever antiretroviral therapy is discontinued. This is believed to be the latent pool residing largely in CD4+ T memory cells. The number of cure trials involving ‘shock and kill’, ‘kick and kill’ etc. is slowly growing, all with the same principle that the immune system can be hyper-stimulated to recognise infected cells and that, under the cover of suppressive antiretroviral therapy, latent viruses are reactivated using one or more agents that will trigger transcriptional activity of the silenced provirus. The highly trained immune system will then recognise these infected cells and try to eliminate them. Everyone in the field is aware of the limitations. 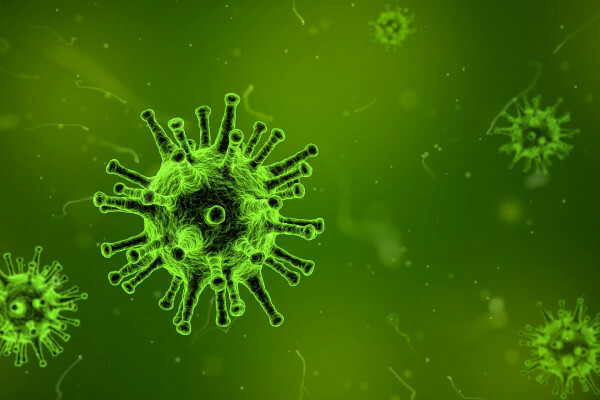 Our understanding of latency is still relatively primitive but what is obvious is that there is more than one mechanism which represses a silenced provirus and there is no simple intervention which reactivates all latent proviruses. We are, therefore, looking at the prospect of either combinations of therapy or repeated therapies. Reactivating a latent virus is the same as turning on a cellular gene so avoidance of unwanted gene activation will always limit the potency of drugs that we can use to awaken HIV. How will we know if we have eradicated HIV? Herein lies another problem in that the assays that we use to detect latent HIV are inadequate. A variety of measures of HIV DNA, HIV RNA, detection of reactivated replication competent virus using in vitro assays or in animal models are all being used in a variety of latency studies worldwide. No-one knows for certain which, if any, of these provides the most accurate measure of quantitation of the latent virus load. Some such as the viral outgrowth assay require large blood volumes and are logistically difficult to deploy widely in large trials and all of them have the defect that they sample latent virus from the peripheral blood compartment. There is strong circumstantial evidence that there are sanctuary sites elsewhere which are not represented by this compartment and that even if we reduce detectable virus down to zero in the peripheral blood we could not be certain that we had eliminated virus from every lymphoid reservoir. Recall the ‘Mississippi baby’ had an undetectable latent viral load after cumulative sampling of 64 million resting CD4+ T cells before viral rebound. Let’s assume, however, that technologies improve, detection methods become better and better and we get to a position where we feel that after several rounds of shock and kill and suppressive antiretroviral drugs we cannot detect any virus and are prepared to discontinue suppressive antiviral treatment. At first sight this seems straightforward and resembles the model in many cancers in which remission is induced by a combination of drugs and then the individual returns for regular follow up looking for disease markers to detect relapse. This might be acceptable for some people and they may be prepared to take the risk that the virus would reactivate from some previously undetectable reservoir, safe in the knowledge that the intervals of follow up would mean that no lasting damage was done to their immune system before, if relapse occurred, highly effective antiretroviral therapy was able to be restarted and further attempts at eradication occurred. For sexually active individuals in long or short term relationships, however, this is almost certainly not good enough. Why would someone whose partner was HIV negative take the risk that their virus had reactivated despite all of the best reassurances from the medical profession and the evidence of completely undetectable virus from assays, such as we have. What if viral reactivation occurred between follow ups and they became infectious to their partner once more. These people might justifiably not wish to participate in logistically difficult and invasive clinical regimens aimed at an uncertain outcome of eradication. Simply remaining on clinically proven suppressive therapy that rendered them non-infectious might be preferable. Previous Where is the HIV vaccine? Can HIV be Transmitted by Mosquitoes?